* Great Music & Musicians provides a foundation for understanding the major cultural periods---from the Greco-Roman Era to the present. 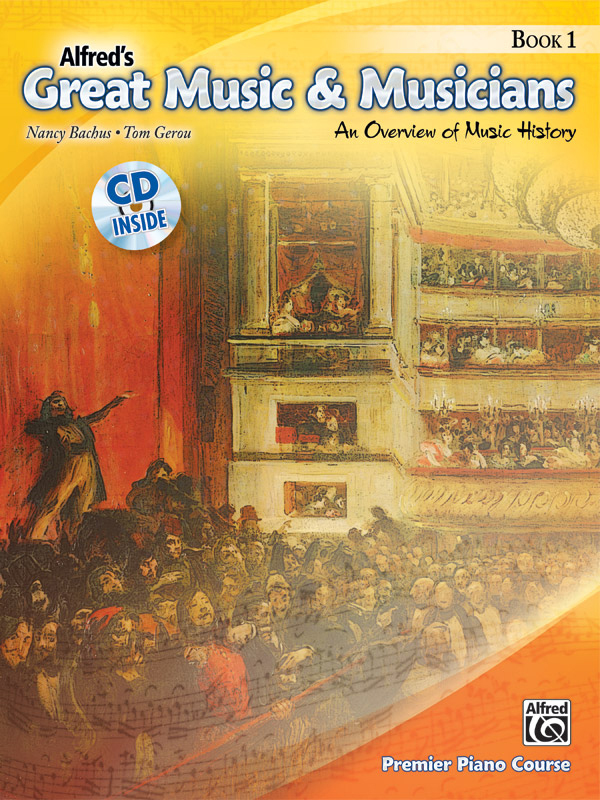 * It guides students through musical styles and the development of music through the ages. * The book and CD includes art and listening examples that offer an opportunity for discussions. * Although not correlated page-by-page, book 1 is appropriate for piano students in Premier Piano Course, levels 1A and 1B. * It also may be used by students in other piano methods or as a focal point for group lessons. * Each unit includes an overview and historical background, a closer look at important musical developments, art to provide further insight into life during the time, a short summary, listening suggestions, and a written review.